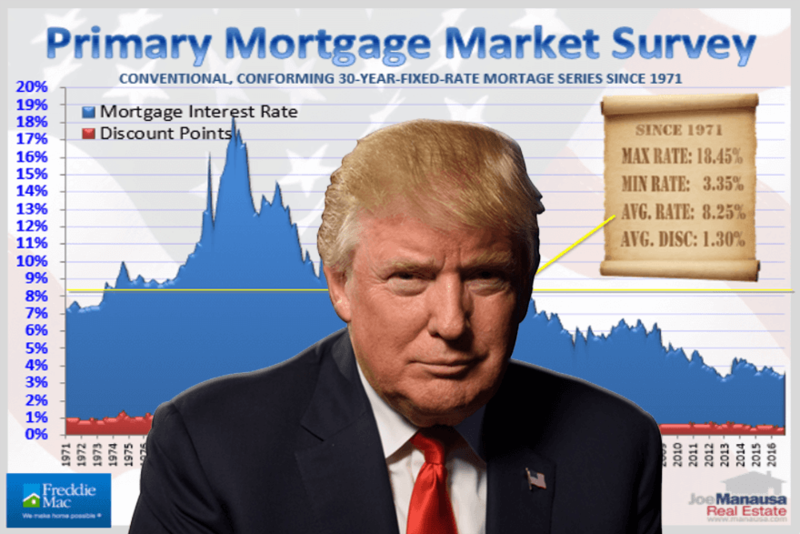 Anybody who tells you they know what will happen with mortgage interest rates due to Donald Trump being elected President is taking great liberties with their ability to predict the future. Nevertheless (and taking great liberties), I think there are some signs that assure us that mortgage interest rates will continue to rise beyond what we have already seen. The first one is easy. 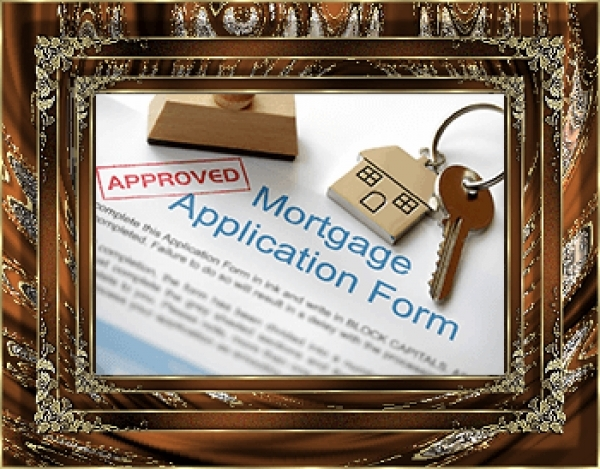 Mortgage interest rates need to move higher. We have been hovering near historical lows for several years and long-term cycle analysis strongly suggests that rates will eventually move higher. I don't think it mattered who won the election (even Faith Spotted Eagle, the Native American elder from South Dakota who received one electoral college vote in the State of Washington would have presided over rising mortgage interest rates). During his campaign for President, Trump stated that the Fed has been holding interest rates at ABNORMALLY low levels. During his presidency, Trump will have the ability to restructure the Fed and by 2018 will be able to have "his people" controlling its actions. If he thinks rates are abnormally low, he will have the ability to raise them. Trump has some aggressive goals for infrastructure improvement and we'll likely see a huge plan passed within his first year in office. I believe this means he will initially raise capital for the improvements with an increase in bond issuance, which would tend to push bond prices down and interest rates higher. 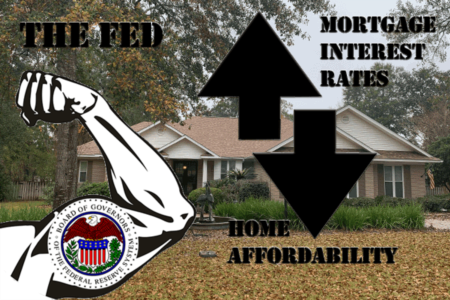 How High Will Mortgage Interest Rates Rise? Sorry, my crystal ball was already stressed at its maximum settings just to identify the three points above. But I will say this. I think rates will move up, but they will not approach 5% in 2017. Part of this is based upon analysis of the national markets, but I confess more is based upon the "hope" that nothing crazy ensues. Regardless, when current generations talk about the lowest mortgage interest rates they ever have seen, it will be a discussion about times that have already occurred. 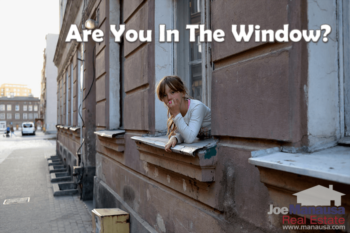 If you are in the market to buy a home, pick up the pace. You don't have to rush, but waiting beyond 2017 will very likely cost you if you are borrowing money. If you are not in the market to buy a home, it never hurts to get more information. Talk to a mortgage professional about whether or not you can lower your mortgage interest rate through a refinance of your home. Whether you act on it or not, find out what's available for you in your situation. I believe the low of the market is behind us, so procrastination now comes with a higher price tag. Not sure where to start with the pre-qualification process? Simply tell us who you are and a trusted local mortgage lender will be in touch to answer all of your questions. If you would like to meet with a real estate buyer's broker to discuss what is available in the market, simply drop me a note and we'll be in touch right away. Remember, knowledge is power and it never hurts to find out more about your options. Will The Good Times End Soon For The High End Homes Market? Should You Lock In Your Mortgage Interest Rate Before Buying A Home?